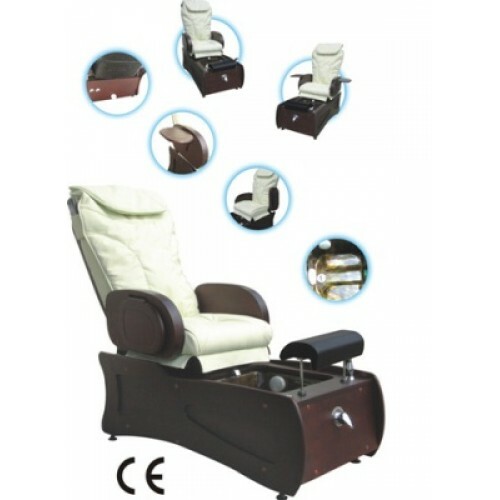 SPA pedicure chair, buy at the price of 3084 . SPA-pedicure chair UMS Beauty with bright top and dark bottom. Six types of massage - Shiatsu, tapping, kneading, rubbing, mashing massage, pulsation. Automatic recognition of shapes and micro adjustment to massage of muscles and specific points in accordance with a preselected program. Adjustable intensity, width of exposure.